LtCol William “Ron” Campbell Jr.,USMC (Ret), is a 1961 graduate of the U.S. Naval Academy at Annapolis. As a career Marine pilot, Ron served two tours in Vietnam flying Sikorsky UH-34Ds and Lockheed KC-130Fs, earning a Meritorious Service Medal and twenty-four Air Medals. He ended his career as the commander of a composite helicopter squadron, HMM-262. 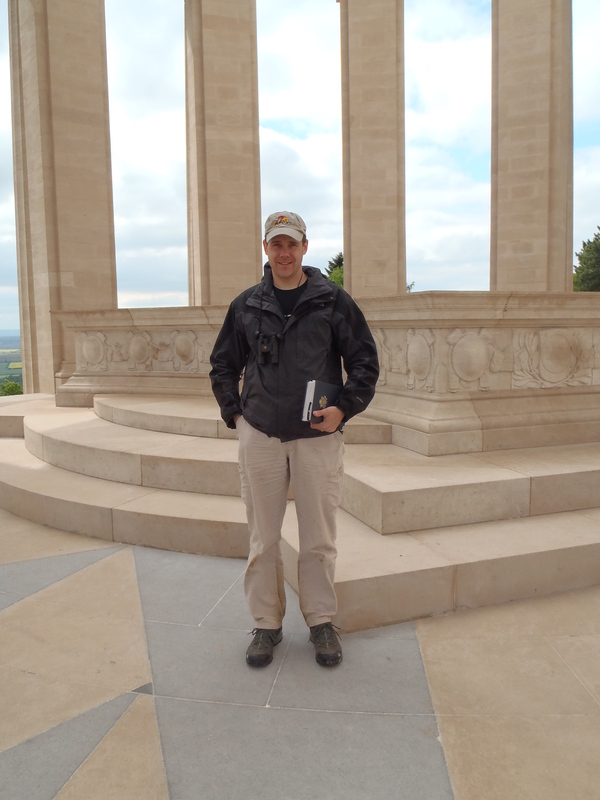 Currently, Ron is a tour leader for MHT specializing in Asia and WWI. COL P.J. Dermer USA(Ret) was one of the Army’s foremost Middle East regional experts. His career spanned over 30 years of experience including multiple assignments throughout the region. His experience includes military and civilian venues spread over a wealth and breadth of challenging spectrums including national levels of the U.S. government. He was in the Office of the Vice President in 2002, the critical year in the run up to the war in Iraq, and subsequently served two tours spanning the length of the country. His first tour was as a senior advisor in the Coalitional Provisional Authority where he established Baghdad’s first locally represented City Council followed by the rebuilding of Iraq’s Ministry of Defense and senior Army ranks. In his second tour Colonel (ret) Dermer served initially as a senior negotiator for reconciliation efforts with Sunni and Shia militas, working closely with the various Awakening movements. Later, he became the senior military advisor for the Baghdad Operations Command in the fight for Baghdad in 2008. At present, Colonel (ret) Dermer is one of a handful of private U.S. businessmen trying to establish successful business enterprises in Iraq. He has extensive coalition-building experience working with international counterparts to foster the Middle East Peace Process serving four tours in the Levant region. He has advised, mentored and written extensively for the nation’s senior military and civilian leadership. In the conduct of his duties, Colonel Dermer had the unique opportunity to realize national level strategy on the ground in the Middle East’s extremely complicated social, cultural and religious environment. Countries of expertise include Israel, Lebanon, Syria, Egypt, Iraq, North Africa and the Persian Gulf. Ron Dudek served as a Marine Tanker in I-Corps during Vietnam. 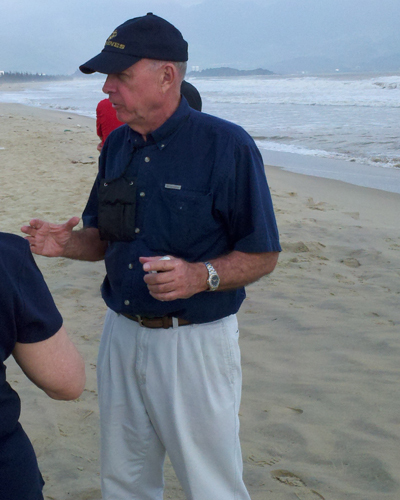 He is one of MHT's most experienced Vietnam Tour Leaders having gone numerous times with legendary Captain Ed Garr. Charlie Dunn retired after having served 36 years in the U.S. Marine Corps, the U.S. Air Force and the Maryland Air National Guard. Once retired from the military he ran his own Aviation Safety & Supply Company. He has been a MHT Tour Leader since 2003 and has led tours from the Philippines to Italy and Russia but he is the undisputed expert on Eastern Europe and WWII Concentration Camps in Poland, Czech Republic, Austria & Germany. John Edwards retired from the USMC as a Master Gunnery Sergeant, having served from 1962 to 1988. 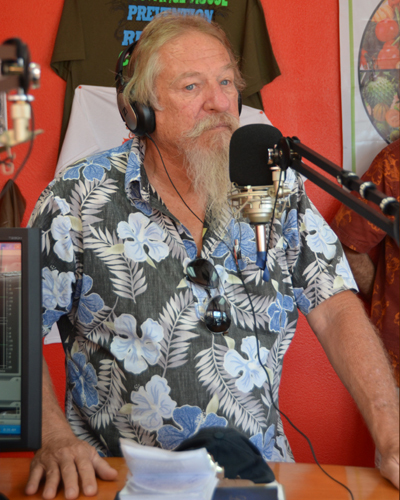 John is a combat veteran and served two tours, totaling twenty-six months in Vietnam. His first tour was with 3/9 and his second with Headquarters 3rd Marines. After retirement John had a second career as a certified FAA flight instructor. 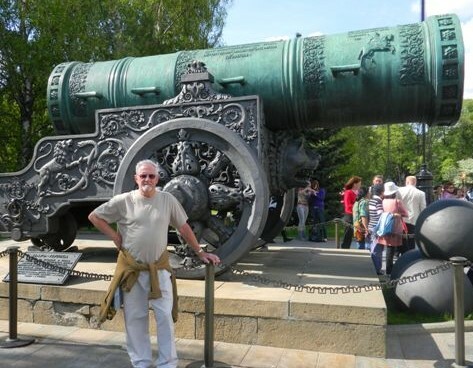 John first came to MHT in 2002 as a client and then became a tour leader specializing in the Pacific, and is an authority on Peleliu, Iwo Jima, and Guadalcanal as well as Vietnam. 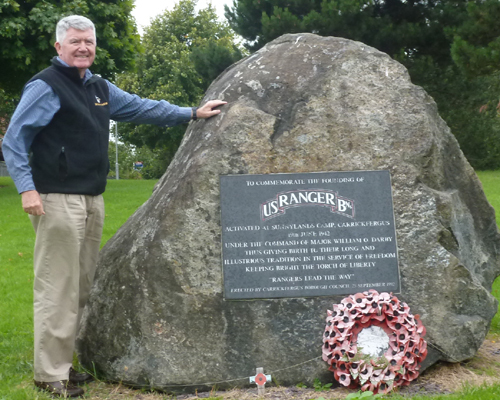 Don Farrell is a retired educator and has been a battlefield tour guide with Military Historical Tours since 2007. Mr. Farrell is the author of numerous books and articles relative to the history of the Northern Mariana Islands and Guam, including the only history of the Northern Mariana Islands. His books have been the standard for history in the school system for both Guam and the Northern Marianas. Mr. Farrell served in the U.S. Air Force from 1965 to 1971, and moved to Guam in 1977, eventually becoming the Chief of Staff to the Governor. Don made Tinian in the Northern Mariana Islands his home in 1987 and now serves on the CNMI Humanities Council Board of Directors and the CNMI Historic Preservation Board of Directors. Steven C. Girard is a Retired Untied States Army (Infantry) SSG and Field Historical Officer for both United States Army & U.S. Marine Corps. A combat veteran of Operation Desert Shield/Desert Storm (1990-1991), Operation Joint Endeavor, Joint Guard, Joint Forge, Operation Enduring Freedom & Operation Iraqi Freedom. He has a Bachelor's of Art Degree in History from the University of Maryland. 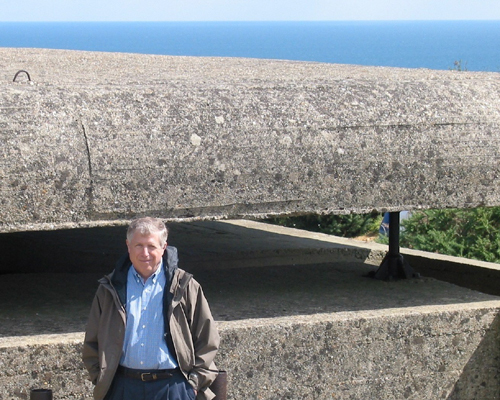 A devoted historian he has served as a Field Historical Officer/Historian for such units as the 2nd Infantry Division, 4th Infantry Division, 10th Mountain Division, 101st Airborne Division, 11th Armored Cavalry Regiment & 5th & 6th Marine Regiments. He specializes as a WWI American Expeditionary Forces Historian/Archivist and a Special Historical Consultant (WWI) to Marine Corps History Division, Quantico. Steve Greene served with the USMC in Vietnam in 1966/1967 in I Corps. He returned to Vietnam with the Department of Justice in 1971 and was present during the fall of Saigon in 1975. Steve held senior positions in the U. S. Drug Enforcement Administration (DEA) and the U. S. Department of State (DOS). 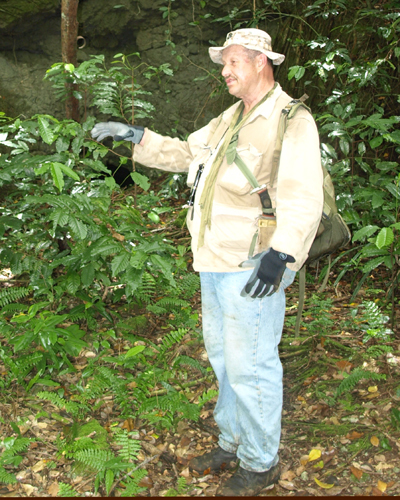 He has worked as a Tour Leader for the past 15 years with MHT in Vietnam, France, Iwo Jima, Guam and Peleliu. Bruce A. Jones graduated from Kansas University and later served in the US Army. In Vietnam Bruce was assigned to the U.S. Army's 4th PSYOP GP, attached to the 1st Marine Division in I Corps. 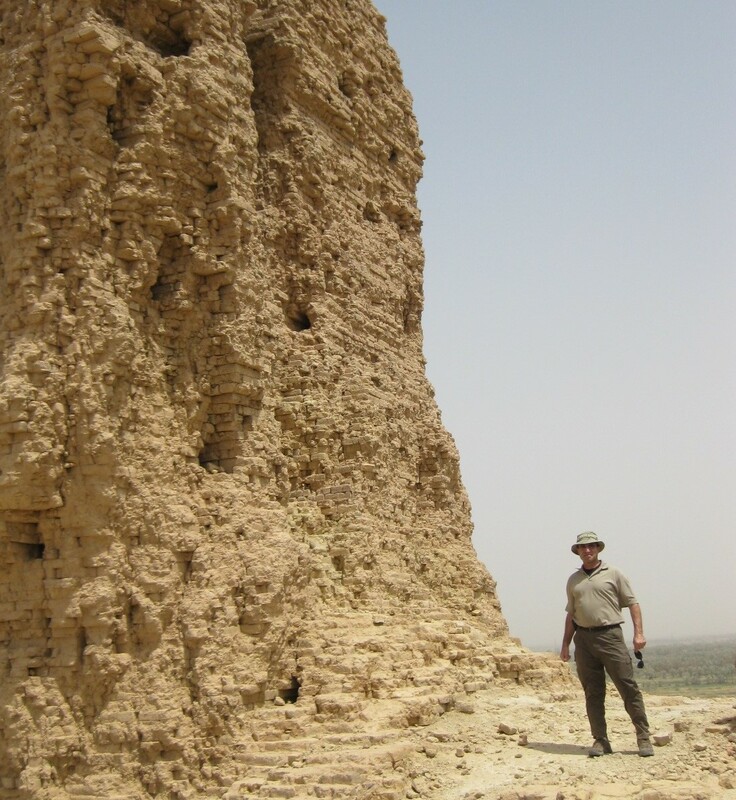 After leaving the military Bruce had a career as a National Park Service archeologist. On two occasions during his career he returned to Vietnam to supervise excavations seeking evidence of American service personnel unaccounted for at the end of the war. 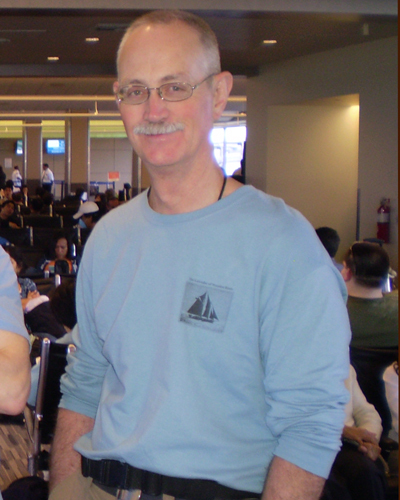 Bruce joined the MHT team in 2006 and leads tours to Vietnam and Europe. Bob Laramy served with the Marines in I-Corps as an Aerial Observer (AO) with the 1st Marine Division. He is a Vietnam Tour Leader and while serving with the "Catkillers" of the 220th Aviation Company he was shot down near Hue City on 22 February 1968. In support of the Battle of Hue City, his pilot 1LT Terrance M. Bozarth was KIA but Bob was rescued from the resultant crash by Marines on the ground. Col Alexander "Sam" McClinchie USMCR(Ret) also served in Vietnam and has led numerous tours back to I-Corps. Sam was a member of the 38th OCC & Basic School Class 3-66 before his assignment in-country as a Lieutenant. Below Sam at the Tam Hiep Clinic, Vietnam. James Oelke-Farley has worked extensively as a Tour Leader in the Central Pacific. He has been an Iwo Jima Tour Leader and is an expert on the Marianas Campaign in 1944 covering Guam, Saipan & Tinian. 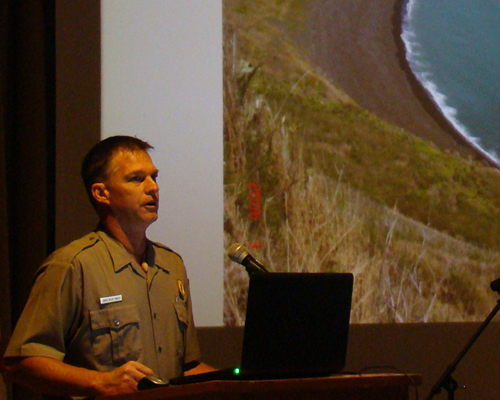 He was the Cultural Resources Program Manager for the U.S. National Park Service on Guam when he first began working the Pacific Island Campaigns with MHT. He has returned to the Washington DC area and is working more with MHT. Lina Ruhlman is an Overseas U.S. Veteran Revisit & Peace Camp For Youth Programs Leader for MHT. She is also well versed in Guam & Iwo Jima and has been a Tour Leader for both. Mark Typinski has spent a career in military and law enforcement, spending 10 years in the U.S. Marine Corps followed by local and federal agencies. His job has allowed ample travel overseas, including a tour in Europe where he developed a passion for the history of both World Wars. He has toured the Western Front and Battle of the Bulge areas extensively, and subsequently studied the campaigns in those regions with a focus on U.S. involvement in both wars. His education in history continues, with an eye towards pursuit of an advanced degree in military history. Col David F. Wall USMCR (Ret) earned a BA from St. Anselm College in Manchester, NH and an MBA from Bryant University in Smithfield, RI. He served with the 1st Marine Division in Vietnam from April 1967 until May 1968 as an Artillery Forward Observer and Battery Commander. Following his active duty he enjoyed civilian careers in commercial banking, manufacturing and distribution management and crisis management consulting. David remained in the Selected Marine Corps Reserve until 1992 then retiring at the rank of Colonel. David joined the MHT team in 2006 and has led tours to Europe, Vietnam, South Korea and China. Col William White USMC(Ret) is one of the most experienced Tour Leaders for the U.S. Battlefields of WWI. He is a graduate of the University of Virginia who entered the Marine Corps during the Korean War and served in Vietnam. Upon retirement he was the Editor of Leatherneck Magazine for the Marine Corps Association before retiring again to run his farm in Nokesville and concentrate on MHT European Tours where he is an acknowledged master. With General Mundy (L) at a WWI American Battle Monuments Commission Cemetery. 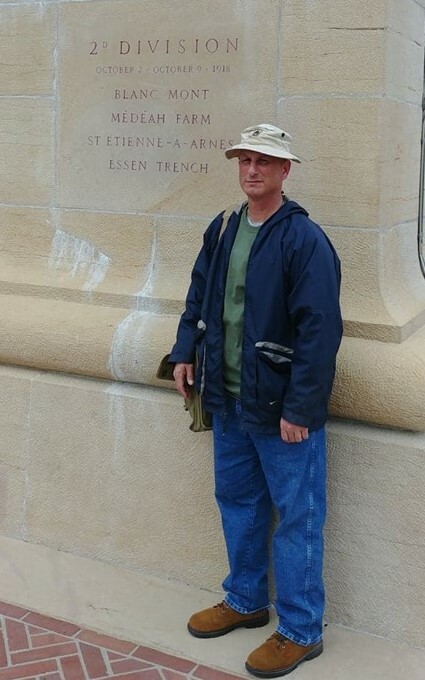 James White is the son of noted WWI historian Col Bill White, USMC who made this anual excursion a MHT legacy tour and is a WWI expert in his own right having done this tour multiple times and has extensive knowledge of the French WWI battlefields. Air Force (USAF) until 1986 flying A-10 and F-16 jets. Hesselbein moved to Wisconsin to take a job as a pilot for Northwest Airlines while continuing flying jets for the Wisconsin Air National Guard until his retirement as a lieutenant colonel in 2000. A veteran with thirty years of combined military service, he continues to participate in military legacy activities. He is a former Vietnam Helicopter Pilot Association (VHPA) President, a docent and presenter specializing in the Vietnam War at the Wisconsin State Veterans Museum, providing military education tours at Civil War National Military Parks and as member of the Red River Valley Fighter Pilots Association, Air Force Association and Veterans of Foreign Wars. 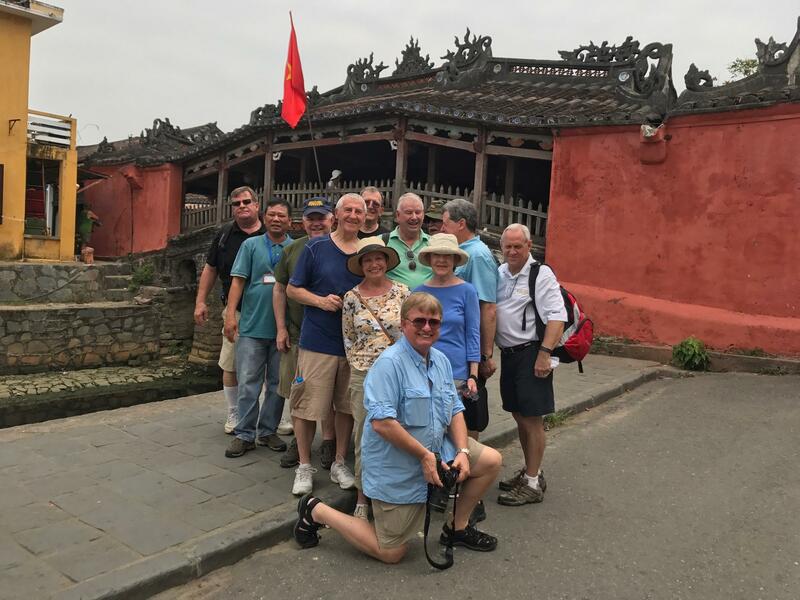 Below, Bob in front of a tour group in Hoi An, Vietnam. Col Richard "Rich" Yoder earned his Bachelor’s degree in History from Rutgers University (1977) before becoming a 2ndLt in the U.S. Marine Corps. He is a graduate of The Basic School (1977), Marine Corps Amphibious Warfare School (1985), Marine Corps Command and Staff College (1993), and a graduate of the Armed Forces Staff College (2003.) He retired from the Marine Corps in 2008 having served for 31 years. His posts include G-1, 3d FSSG, Okinawa, Japan; Director of Manpower, MCB Quantico, VA; Chief, Personnel Readiness Division, J1 Joint Chiefs of Staff; as well as Vice Director, J1, Joint Chiefs of Staff. In his last post, he served as Branch Head, Promotion Branch, HQMC. From 2008 to 2014, he was engaged in the Department of Defense (DoD) Executive Leadership Development Program with the responsiblity for the strategic planning, operational development and tactical implementation of an experimental immersion training program for DoD civilians. He is now Board Secretary for the Young Marines, Inc. Below, Rich (without beret!) with a Leopard 2A4 German MBT Crew.